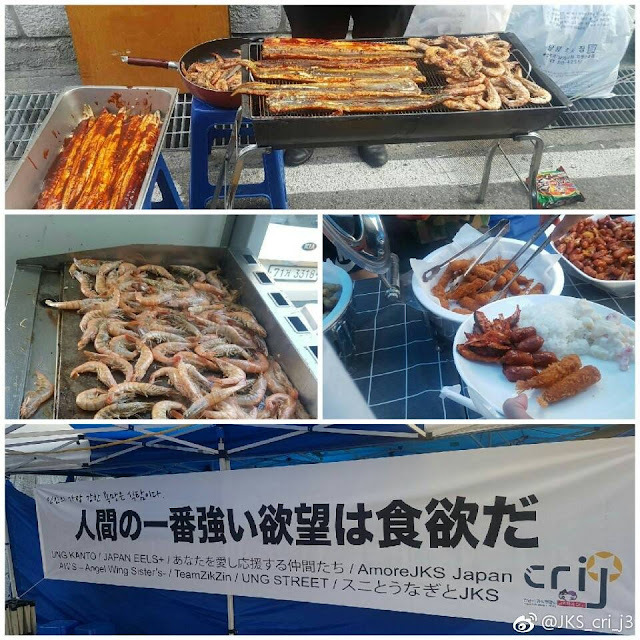 Cri J tweeted yesterday's meal for the cast and crew of Human Time, supported by more Japanese Fan Clubs. _JKS_cri_j3오늘 저녁은 UNG KANTO/JAPAN EELS+/あなたを愛し応援する仲間たち/AmoreJKS Japan/AW’S–Angel Wing Sister’s/TeamZikZin/UNG STREET/スニとうなぎとJKS에서 장어,새우구이&뷔페를 서포트하였습니다! English translation: This evening UNG KANTO/ JAPAN EELS +/ Friends who love and support you/ AmoreJKSJapan/ AWS-Angel Wing Sister's/ TeamZikzin/ UNG STREET/ Snie [??] 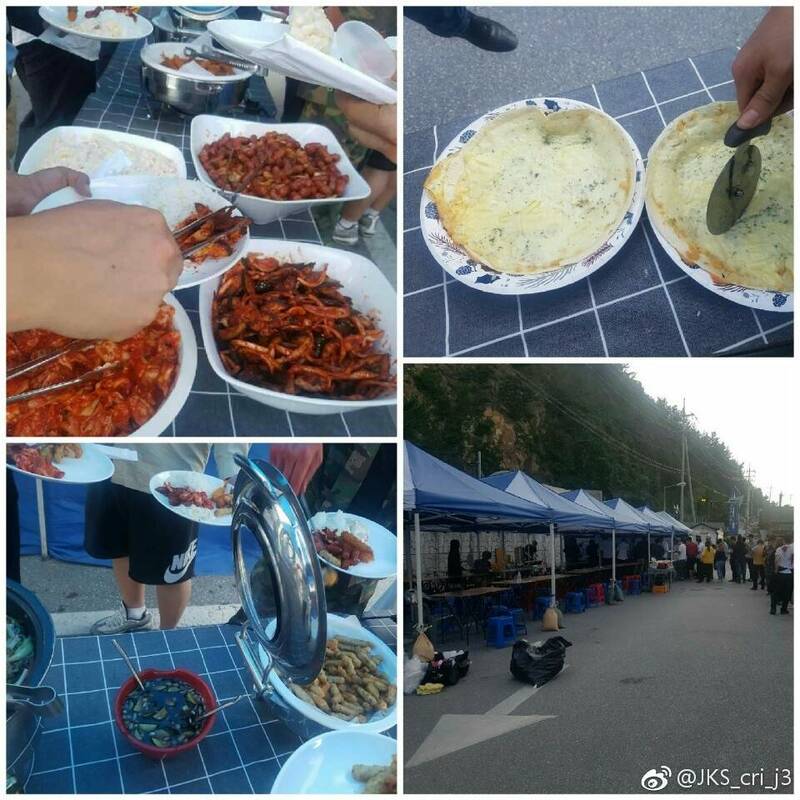 supported JKS with eel and shrimp gill and buffet. However, weibo has an additional photo...here it is.